We provide the full range of building services and we can serve as your one stop shop throughout the renovation process making it a smooth and simple process from conception to completion. In addition to the construction aspect, we employ a range of trades including electrical, plastering and rendering, plumbing and heating installation, painting and decorating. We can even provide you with the kitchen or bathroom of your dreams as part of the process. Our extensive experience of carrying out refurbishment work enables us to provide a wide range of solutions when building or designing your new home extension. We cover all areas of the North West including Liverpool, Wirral, Chester, Ellesmere Port , Helsby, Runcorn, Warrington, St Helens, Prescot, Widnes, North Wales and Southport. 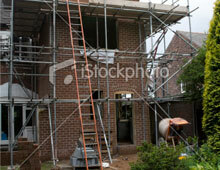 Care in the early stages of planning your property refurbishment is essential. Good planning will save you time, money and headaches later on. We offer a design service, ensuring you make the best use of the space you have and meet Building Control Regulations. You can also be assured that the quality of all the materials equipment and accessories, we provide will be of the very highest standard. Will you need Planning Permission or Building Control Consent? Use their guides or the Common Projects links to find guidance on the building work you have in mind. Check other important matters you should think about before starting work in the ‘Your responsibilities’ section. Employee who did the work was polite & left the house very clean after completing works.